Holy Tacos! 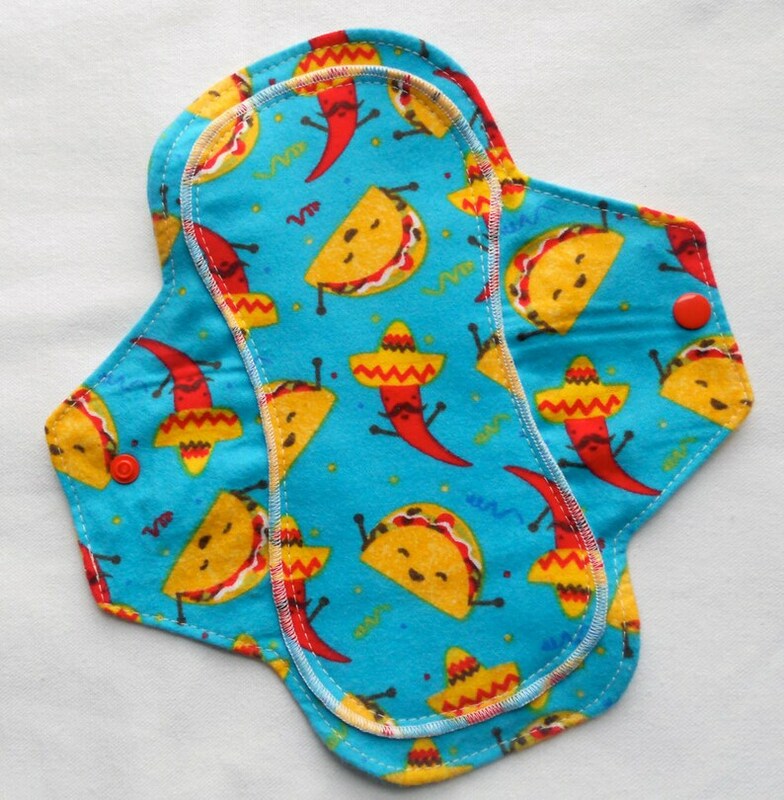 Just when I thought I had found all the ridiculous Flannel Patterns I could possibly find for my Reusable, Eco Friendly Menstrual Mama Cloth Pads...these Fiesta Tacos enter into my life like the Kool-Aid Man! I love this Peacock Blue color with the Happiest Little Goldenrod Tacos and Red Chili Peppers! A wonderful alternative to throwaway pads used alone or with your Cup! Soft, 100% cotton flannel feels lovely against the skin. Each pad measures 9.5 inches long x 9 inches wide. Absorbent flannel layers provide protection from leaks while staying in place! (and not ruining your underwear!) Secures with snaps on the back. Comes in two different absorbances: Regular or Overnight. 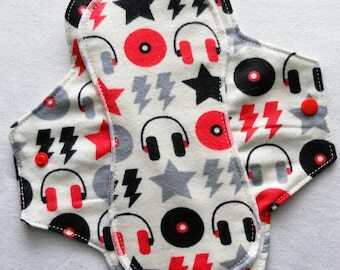 Please note, this listing is for 1 pad. Stay tuned for corresponding liners! When have you ever been this excited about your period??! !